You can transfer your old ISAs to Wealthify, so that they’re all in on place. Cash ISAs, Stocks & Shares ISAs and innovative Finance ISAs can all be transferred into a Wealthify Stocks & Shares ISA. It’s quick and easy to do! 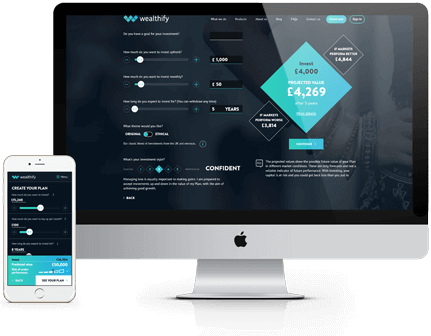 Simply visit Wealthify.com, go to ‘invest now’ and select ‘transfer an ISA’. Then tell us how much you’re transferring, how long you’re planning to invest for (you’re not tied in!) and choose from our five simple investment styles. We’ll then send you a transfer form to sign and send back to us as soon as possible. After that, our dedicated customer service team will sort everything out for you, and tell you when it’s done! Please remember, make sure you ALWAYS ALWAYS use the official transfer form. If you simply withdraw the money from your old ISAs they will lose their tax-free status and will count towards your current year’s ISA allowance.